I invite you to take the following pledge with me. I (insert name), being of sound mind, do solemnly swear that I will never buy pudding in a plastic cup or powdered box mix again. I hereby acknowledge that making pudding from scratch is incredibly easy and with very little work I will create something that is far superior in flavor and texture to prepackaged pudding and pudding mixes. Seriously, once you start making pudding from scratch you will wonder why you ever bought it pre-made before. One of my favorite recipes of all time is the butterscotch pudding recipe from the no deceased Gourmet Magazine (RIP, may its memory be a blessing to generations of foodies). It’s not overly sweet like butterscotch puddings you may have had in the past; rer it has a deeper, more complex almost caramel like flavor. It’s a tried and true recipe, but after having that amazing experience at Sweet Cheeks in Boston, where they topped their pudding with salted caramel, I decided to attempt a salted version of Gourmet’s butterscotch pudding. 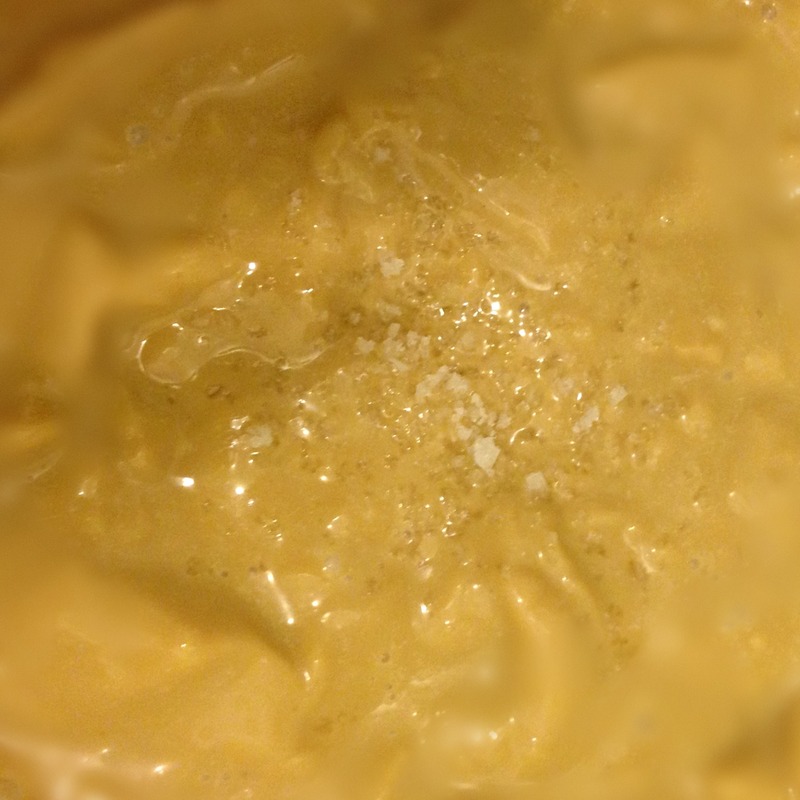 In heavy bottomed medium pot whisk together sugar, cornstarch and Fleur De Sel. 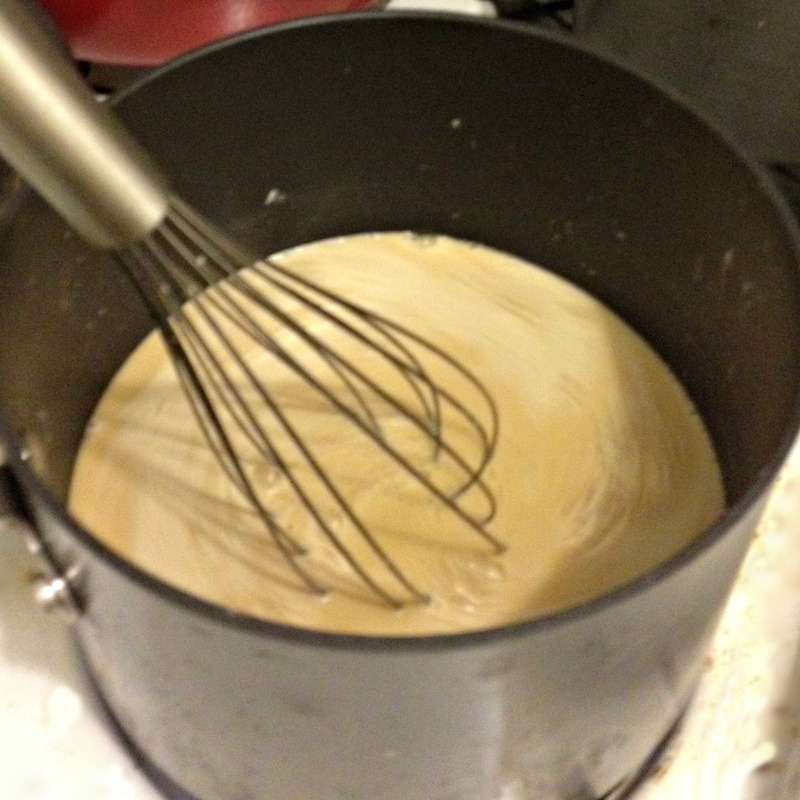 Then whisk in milk and cream. Hey, who you calling heavy bottomed! 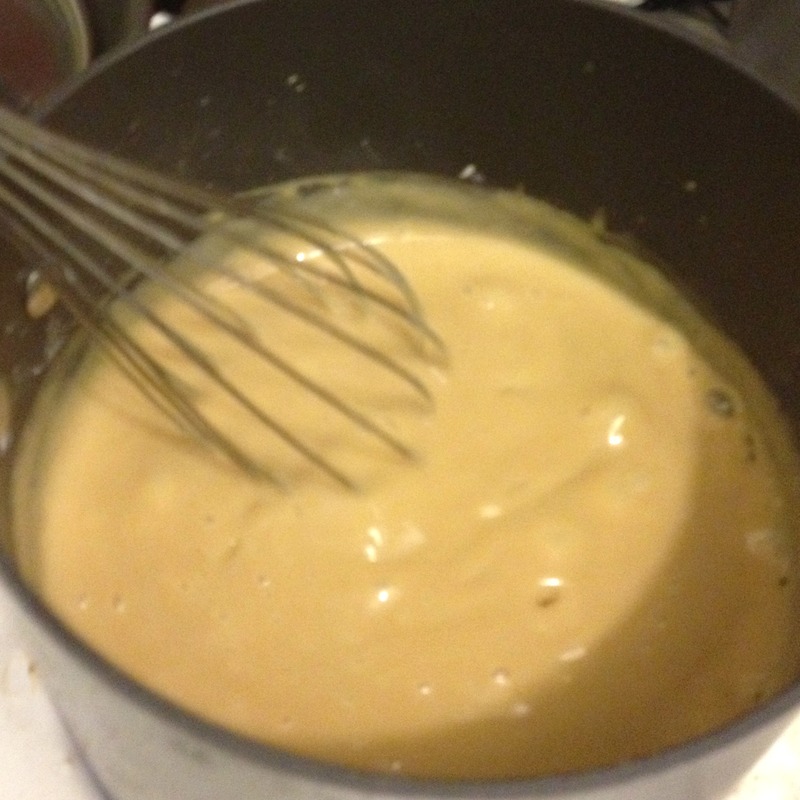 Bring mixture to a boil over medium heat; whisking frequently. Then boil for one minute; whisking constantly. 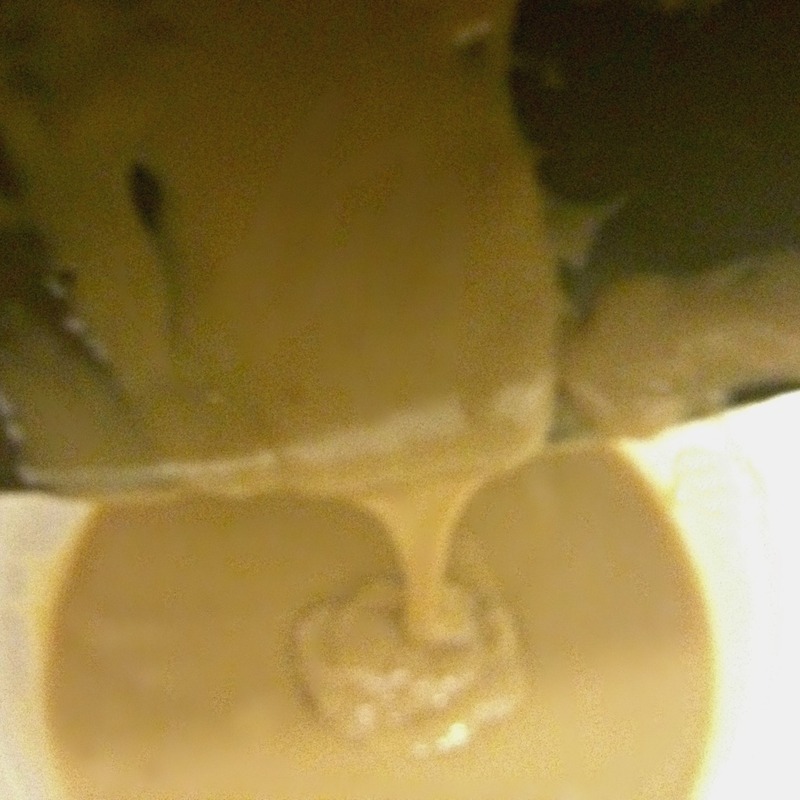 You can see and feel the pudding thicken up. Pour into storage bowl or container. 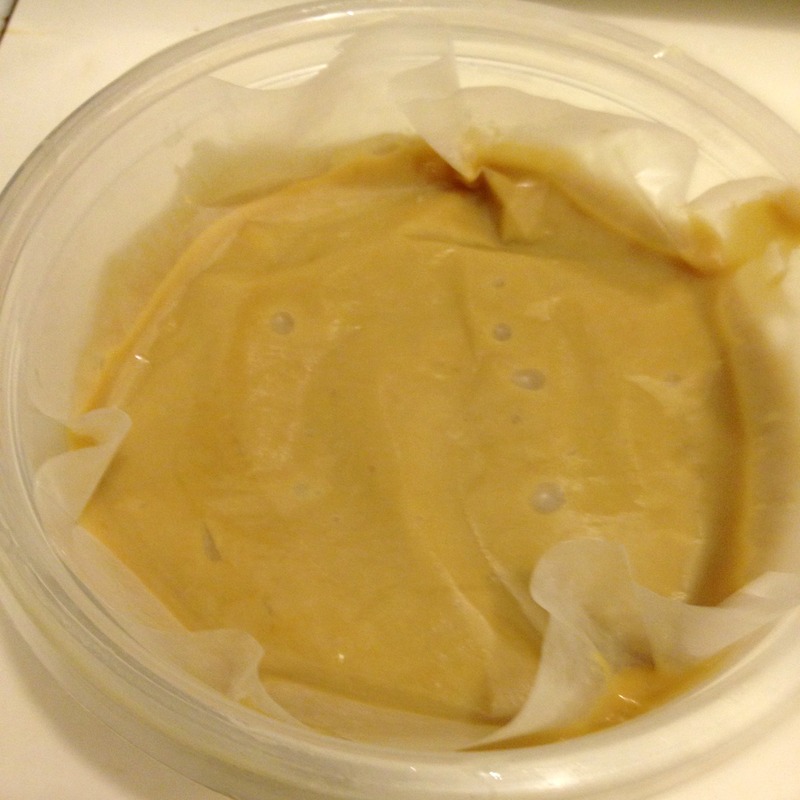 If you don’t want a skin to form, cover surface of pudding with a piece of buttered wax paper. I’m sort of skin neutral, but went skinless this time. Chill until cold; at least 2 hours. Serve with extra Fleur De Sel sprinkled on top. Serves 4. Tip: To determine how much salt to use, taste your butter first. Not all salted butter have the same level of salty-ness. I’d also suggest being conservative with your salt in the actual pudding since you can always sprinkle more in after the fact. This entry was posted in Uncategorized and tagged Dessert, Recipes. I feel like all I ever say is “I can’t wait to try this!”…and yet, I just keep saying it 🙂 I never make pudding because I only cook from a box when it’s REALLY necessary to save my sanity (i.e. Kitty’s wheat-free birthday cupcakes) – so we never have pudding! But this is a great cool summertime dessert! Yummy!